Since 2001 G&G Recruitment is a leading recruitment agency specializing in hospitality jobs in Romania and UK. If you are looking for a hospitality job, our network of clients built up over the years gives you unrivaled opportunities across Romania and UK. 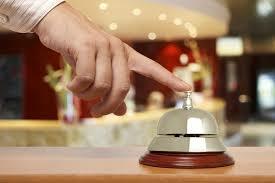 Hotels: Service starts with employees. They represent the human side of the brand; they are the face and personality of a hotel. G&G takes care of finding you the perfect candidates. Through the years we have gathered enormous experience with recruitment of the best suiting candidates for any department and job level within hotels. We are specialists in hotel pre opening staffing and recruiting Chefs, Sous Chefs, CDP, Commis, waiters, housekeeping. Catering: We understand that catering is a fast moving industry and are constantly striving to identify and attract high caliber staff at all levels. We undertake a complete recruitment process to identify and attract the best individuals for your vacancies and thus supply manpower for various levels in the catering industry e.g. Head Cooks, Cooks, Bakers, Kitchen stewards, line Servers etc. Quick Service Restaurants: We recruit for all restaurant management careers in Quick Service/Fast Food, style concepts and Fine Dining. We represent a strong portfolio of companies who offer competitive salaries, growth opportunities, and personal development. Service crew, line cooks, restaurant managers etc. We have 15 years of experience providing support and tailored services to an impressive number of jobseekers and customers are running small business up to customers with a major presence in their market, including local brands & international chain hotels at 4-5 stars and luxury fine dining restaurants. For jobseekers we have an excellent career development package of services, at every level, every department and for every type of organizations. Those interested in starting a job or for a career development are pleased asked to send their application at cariere@ihrc.ro. For employers we provide a wide range of HR solutions and Consultancy services to every type of organizations within hospitality sector: Consultancy, Hotel Openings & Marketing campaigns, Recruitment & Selection, Advertised Selection, Employment Agency, Retained search, Executive search and the list is not complete. You can freely write us at office@ihrc.ro and ask more details about any program. 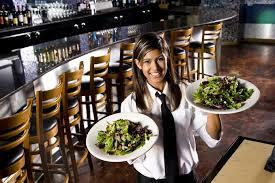 Our Hospitality Recruitment Consultants facilitates with effective services to our client and candidates both. Our consultants are professionally trained and contain years of experience in the field of hospitality.